Great Britain appeals to Serbia: Ask forgiveness for war crimes committed! 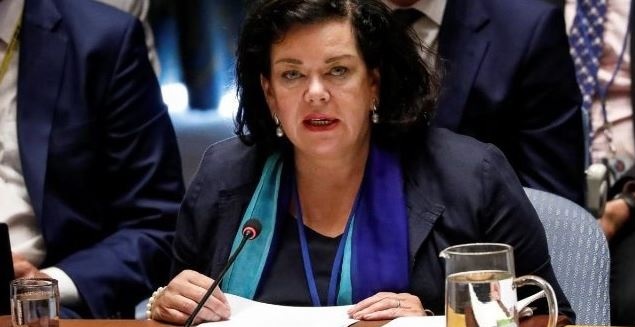 The UK Ambassador to the United Nations Security Council, Karen Pierce, has not spared the criticism against Serbia during a speech in which he also mentioned the war crimes. Pierce said Serbia should have apologized for these war crimes. "I was in Kosovo and I was in the North. There are still tensions in communities and communities have not always treated each other with friendship and respect. But I'm sorry that I heard from one of Serbia's speakers today, which means not knowing the events that brought us to the Resolution 1244, the presence of UNMIK in Kosovo. No regrets, no guilty plea for war crimes committed and the crimes that have been defined and by the International Tribunal established by this council," she said. Britain also highlights the role of Creating a Dialogue Team that creates political unity for Kosovo and guarantees commitment to dialogue.